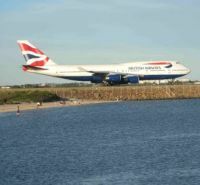 British Airways for A380 – number 100? 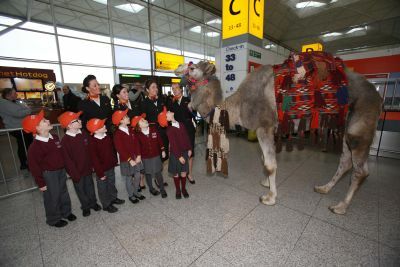 AND FINALLY: Stansted got the Hump! A new study from Amadeus estimates long-distance rail traffic in Europe will grow at an annual rate of 2.1% to over 1.36bn passengers by 2020. It is currently 1.122bn. 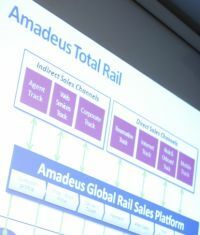 Whilst best known for its airline IT work Amadeus Rail is an important part of the (Spanish) listed Amadeus Group. Iraqi Airways flights to Gatwick from Bagdad and Sulaimanlya are planned to resume tomorrow (5 March) with a Boeing 767. Currently UK two-way traffic to Bagdad is via the Gulf States airlines. Enterprise Rent-A-Car, American-owned and claimed to be the world’s largest car hire company, has opened a new onsite branch in the Arrivals Hall of Belfast International Airport. 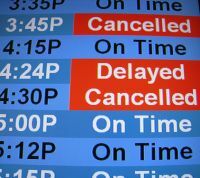 In an unprecedented move the UK Civil Aviation Authority (CAA) Passenger Advice and Complaints Team Regulatory Policy Group has apologised for delays in dealing with enquiries from delayed airline passengers. Virgin Atlantic has confirmed that its new domestic airline will be called Little Red and will launch from Heathrow, on 31 March to Manchester, 5 April Edinburgh, 9 April Aberdeen. There will be four daily round-trips between Heathrow and Manchester, six Edinburgh and three Aberdeen. The flights will be branded ‘Little Red’ and will be flown and operated by Aer Lingus Airbus A320s. EU antitrust regulators have now blocked Ryanair's third attempt to acquire Irish rival Aer Lingus, a ruling Europe's biggest low-cost airline called politically motivated and vowed to challenge in court. Whether this is just a ploy to destabilise its much smaller rival, which it partially owns, or a serious move by CEO Michael O’Leary is hard to gauge. For the various rulings to be overturned would be unprecedented. Boeing Airplanes' President and CEO Ray Conner will speak at the J.P. Morgan Aviation, Transportation & Defense Conference in New York today (Monday 4 March 2013). Business Travel News will update the website at approx 19:00 local. The first A350 XWB – MSN001 – now showing its completed wings, has moved on to its next phase of ground testing. It is structurally complete and shows the installed winglets, belly fairing panels, main landing gear doors. Following the recent break-up of the long-standing Joint Services Agreement (JSA) with Qantas, British Airways clients to and from Australia will, from the start of the summer season, have less code share choice with the Oz airline, 20 against 39. With the current order book standing at 262 and 98 delivered it looks like British Airways will be the recipient of aircraft number 100, a milestone for Toulouse. The Government, the Mayor of London and Transport for London has announced a move to fully publicly fund a new fleet of trains and maintenance facilities for Crossrail. 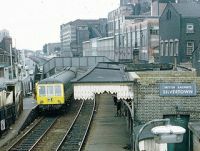 The line’s unique situation means there is no existing fleet of trains to operate through the tunnels. Special units are required. In September 2012 the Government invited bidders to apply for a government guarantee to assist in the financing of the new trains. The new arrangement will ensure that services can open as scheduled in late 2018. 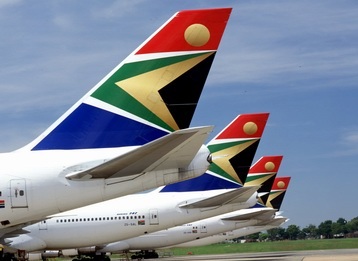 OAG’s latest airline capacity data reports that airlines worldwide will see an increase of 1% to flights in March 2013 versus last year, and an increase of 3% to seats. Airport hospitality specialist No.1 Traveller has significantly expanded its services to offer travellers a full ‘Driveway to Runway’ experience for 2013. 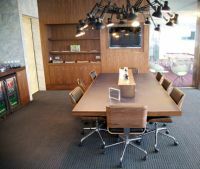 The award-winning independent airport lounge and travel spa operator has introduced personalised rail connections, airport parking and a concierge service at its airports. Associate lounges around the world offering the same quality of product will also be available. Manchester Airports Group (MAG) is the new operator of Stansted Airport after its successful £1.5bn bid was completed last week. In the short term it intends to re-configure both the extensive landside area (making it smaller) and enlarging the airside shopping facilities. The cost is put at £50m. During the 1920s there was a crazy race, mainly in New York, as to who would build the world’s tallest structure, won by the Empire State Building. It held onto the title for 40 years, from its completion in 1931 until construction of the World Trade Centre's North Tower in 1972. At 102 public storeys and a mast height of 1,454ft the iconic Art Deco building is now ranked 22! The Airport Operators Association (AOA), the trade body representing UK airports, will hold their 2013 Annual Dinner on Tuesday (5 March), at the Grosvenor House Hotel in London. 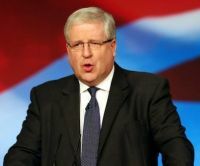 Around 1,000 people from the air travel sector will attend the event, the largest aviation dinner in Europe, the principal guest and keynote speaker will be the Secretary of State for Transport, Patrick McLoughlin MP. 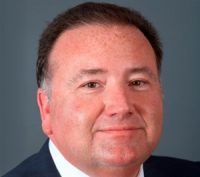 Aviation Minister Simon Burns MP and Shadow Aviation Minister Jim Fitzpatrick MP will also be present along with other key players from the industry. London Aviation Club members who now wish to book for the next luncheon at the Institute of Directors (Thursday 21 March) will be disappointed. 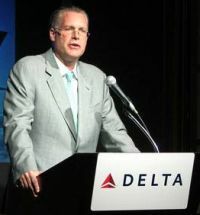 With Ed Bastian, President of Delta Air Lines as Guest of Honour, it is not surprisingly a sell-out. Delta, the world’s largest airline depending on your methodology, recently purchased a 49% stake in Britain’s Virgin Atlantic. 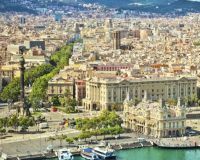 With the introduction last week of a three times daily British Airways service from Gatwick to Barcelona, and Vueling’s twice daily services due from the start of the summer season, the capital of Catalonia is probably the best connected continental city to London with 26 flights daily at the start of the summer season. 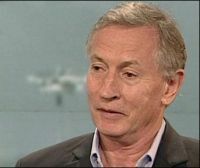 The knock-on consequences of the Boeing 787 grounding are now being seen around the world as airlines take on board some of the problems. For cabin staff it is fairly easy, and a very quick retraining programme organised back to the previous aircraft. For pilots the problems are much deeper although there is some commonality with the 777 the expense of changing a current type rating is quite high. The 787 has a very advanced electronic Collins avionic suite. 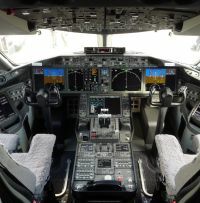 Will the airlines then have too many 777 flight deck crew? A worrying 2012 financial performance by the combined British Airways and Iberia was summed up by Bhaven Patel, trader at Accendo Markets. He said that the loss (£863m overall and £59m operating deficit) was "better than consensus". 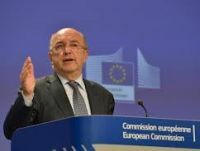 It included a 20% rise in fuel costs and various exceptional losses. Based on the short lived Varsity Airways performance and forward bookings (see BTN 10 March 2010) the introduction today by Minoan Airways of services from Oxford Airport to Edinburgh and Dublin should be a success. The UK Civil Aviation Authority has published Britain’s airport passenger throughput for 2012. 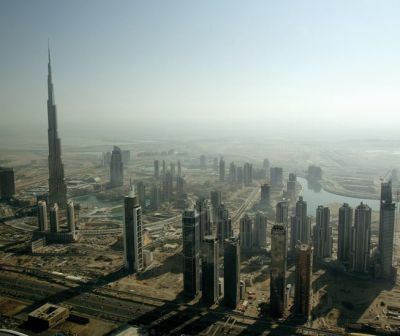 This shows a growth to 220,644m as against 219.289m for 2011.